This was my first book by this author and I really enjoyed it. I’m not usually a fan of books in third person, but that didn’t bother me with this story. It kept me entertained and rooting for the H/h. I look forward to the next book in the series! 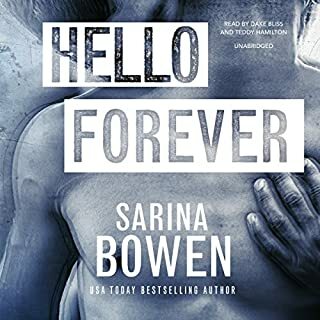 Another amazing story from Sarina Bowen! 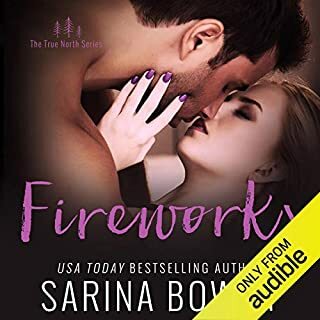 If you like other Sarina Bowen books (especially her MM romances) then you’re sure to enjoy this one! 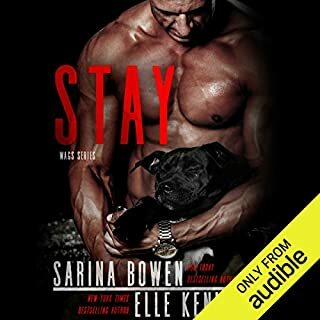 I love every book I've ever read written by this dynamic duo and there is no exception with Stay. I loved getting to visit old friends (Wesme!!) from previous books. Another amazing audio from Kate! Kate is one of my favorite authors who could write just about anything and I'd pick it up and love it. I love her book on audio as they come to life so well. Her writing allows you to emerge yourself into the story and feel like you're in it along with the characters! The narrators did a fantastic job bringing her characters to life in this book! Another Amazing Book in the True North Series!! 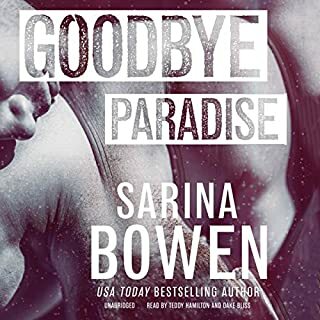 Another knock out from Sarina Bowen! I love this series so much and couldn't wait to hear this book on audio! Zachary Webber & Susannah Jones do an amazing job bringing the characters to life! This will become a re-listed to audio for sure! Great ending to an amazing series! I LOVE this series and binged listened to it in the matter of two days. Once I started I just couldn't put it down! Christian Fox does an amazing job bringing it all to life! I can't profess my love for this series enough! I'm so glad I won a copy of the first book's audio! I loved everything about the first book in this series and that love continued into book 2. Christian Fox did an amazing job once again with this book!